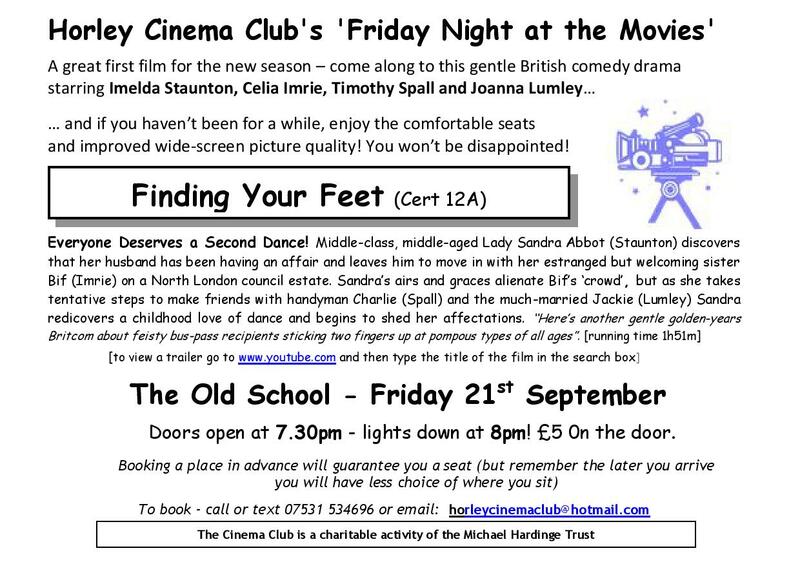 After the Summer break, the new season of the cinema club starts again this Friday, 21st September with a showing of ‘Finding Your Feet’. For a sneaky preview click here. This entry was posted in Michael Hardinge Trust and tagged Cinema Club, The Old School on September 16, 2018 by thehorleyviews.